This time, it’s the Himalayas. 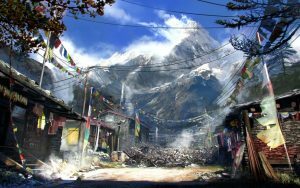 Well, we are in Tibet for the fourth installment of the Far Cry series. The game has hit the shelves all over the world today, for all major consoles (except the Wii U) and PC. 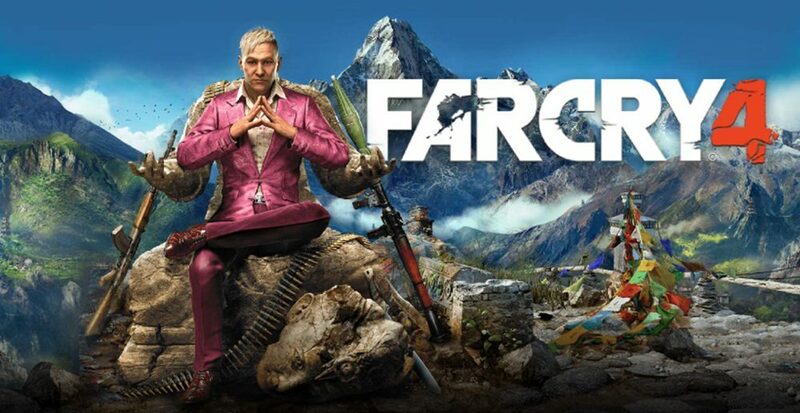 Just like the traditional Far Cry style, Far Cry 4 takes us to a serene, exotic location in the Himalayas called Kyrat and features a new cast. 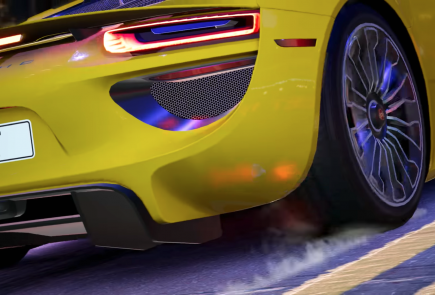 As the game released recently, most of you might not be updated with what this installment has to offer. 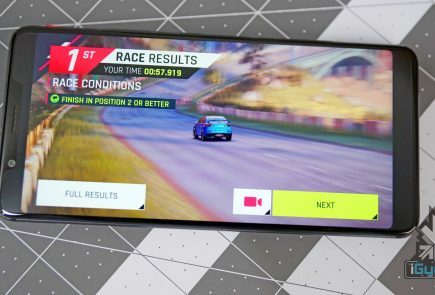 So, we decided to bring the details of all the juicy bits that you can expect from one of the biggest launches of this year. 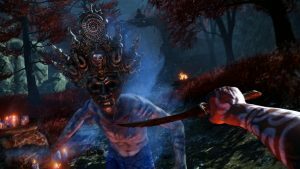 If Far Cry 3 took us on an arduous tropical journey, its successor has cranked up the stakes and takes us to the Himalayas. You don the role of Ajay Ghale, who is caught up in a civil war created by the self-appointed king of the region called Pagan Min aka the bad guy. So, expect more bad guys and a dose of variety of pristine landscapes. 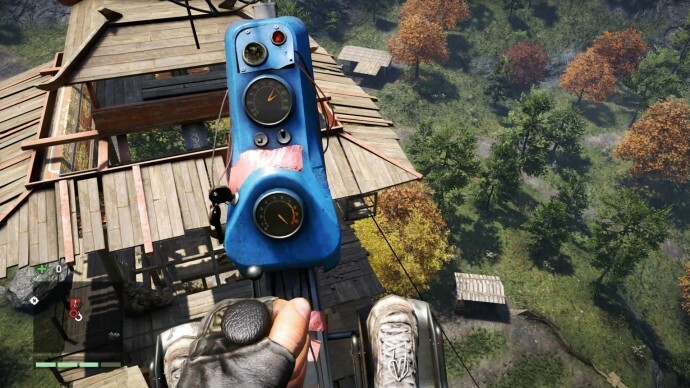 Far Cry 4 has upped the scale and it just gets bigger, better and badder. 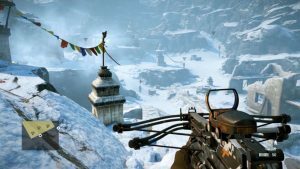 Making your way around the treacherous terrain, grappling hook allows you to navigate your way across the area in a slew of new ways. 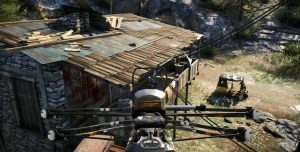 Gyrocopters have been introduced that will give a bird’s view of open world adventure, while white-knuckle jumpsuit lets you pounce on your enemy from the sky. On the ground, Far Cry 4 has those faded yellow tuk-tuks which bring back nostalgia. 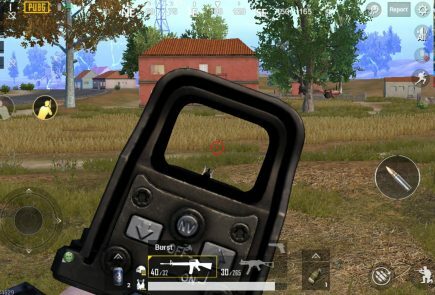 To top it up, not only can you fire your weapon while driving, but you can also jump from one vehicle to another during chases, or if you’re in no mood for unnecessary fuss, you can finish the chase even before it starts by cutting the enemy’s break. There will be animal rides as well, elephants for instance. You can charge into the battle on the back of one of these beasts while your sneaky avatar can strap a few C4s on the back and send them charging into the enemy territory. 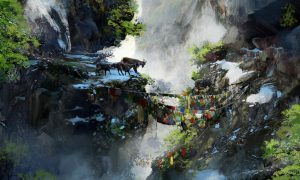 Ajay Ghale is the hero in the game. 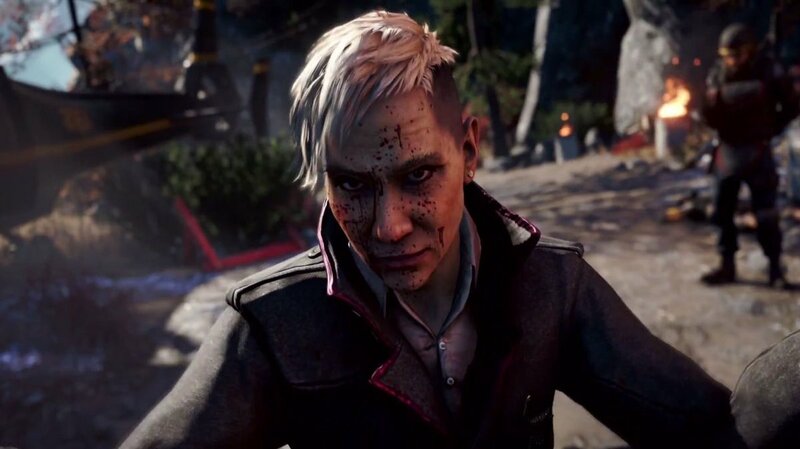 However, it’s the blonde-haired Pagan Min, played by Troy Baker in his magenta outfit that stole the show at E3. Ubisoft has made sure that there goes some chemistry and depth to the characters, with Min dressed in a particular attire as a homage to his mother. So watch out before you make a mockery of his suit, which would mean you’re making fun of his mom and that surely would not be a good thing. Min took over Kyrat two decades ago, and now his face even appears on the local currency. Meanwhile, Ajay’s family name is also well respected in the region, but apparently, he’s returning to a land he hasn’t seen since he was a kid. There’s some rather intriguing co-op elements in this franchise. The co-op mode is quite a big one, though only PlayStation owners get that extra bit. 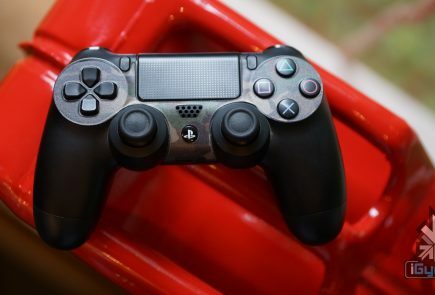 PS3 and PS4 owners of the game, along with the PlayStation Plus subscribers, will receive ten invites they can send to friends who don’t own a copy of the game. 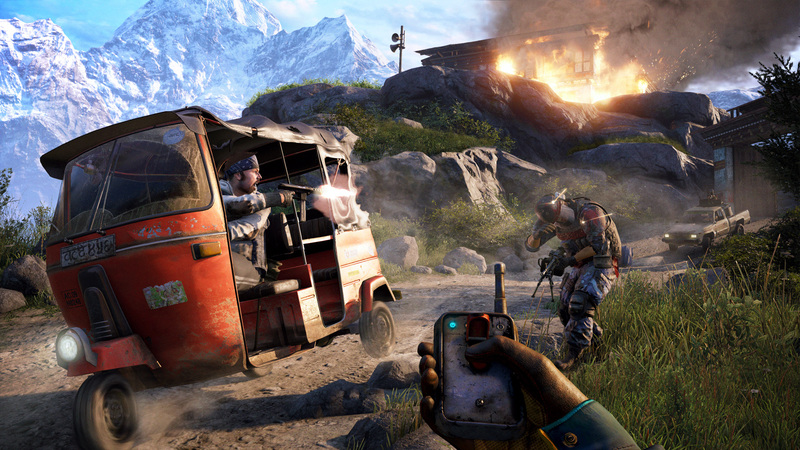 These friends can then get a taste of the free trial version of the Far Cry 4’s co-op mode. 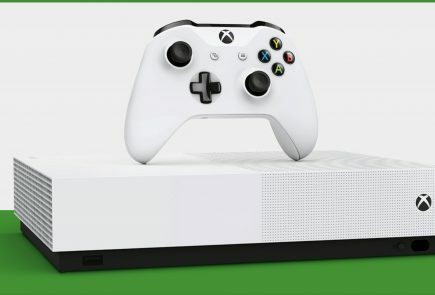 Sadly, this functionality will not be offered to Xbox or the PC version of the game. Additional content for single player, co-op and competitive multiplayer will be available in the game’s $30 season pass, which includes a monster-themed mission called ‘Valley of Yetis’. Players will also need to fend off and evade deadly nighttime attacks from a mysterious cult. 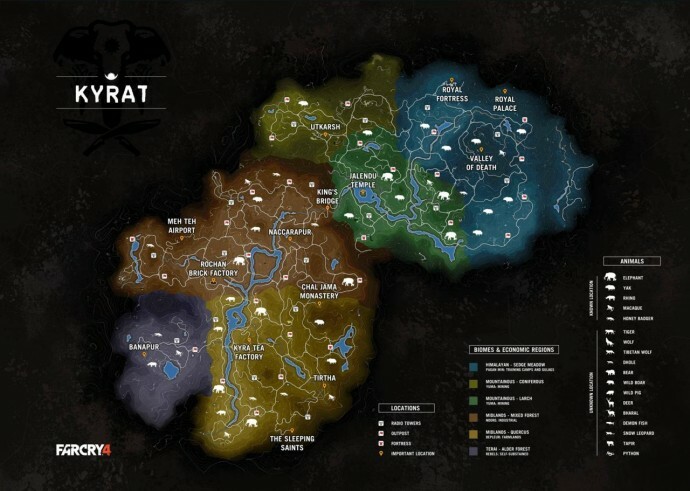 Ubisoft adds that Ajay can also explore caves but need to ‘watch out for what lurks within’, most probably hinting at Yeti danger. Last but not the least, you all have a wide choice of arsenal at your disposal. You have the Vector .45, an ACP submachine gun, the MG42 machine gun, mortars to ‘lay wrath upon your enemies,’ a kukri (the Nepalese version of a machete) for one-on-one combat, the P416 assault-rifle along with a bait for attracting animals (throw some by an enemy and watch a tiger pounce). Finally, there will also be a flamethrower too and an auto-crossbow for those moments when stealth is your best ploy. 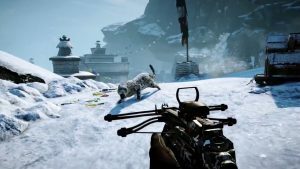 It won’t be just about guns to take down Pagan Min’s Royal Army; Ubisoft wants you to use your environment to your advantage such as yaks, snow leopards and elephants. 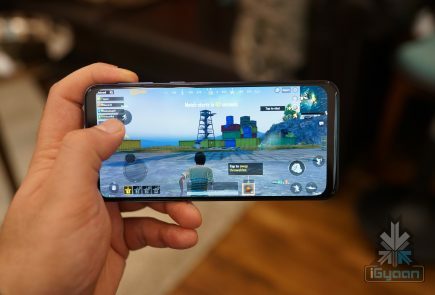 The game seems to have all the right ingredients from the story to weapons, vehicles, main characters, co-op, multiplayer and a proper take on mysticism with reference to modern-day battles. 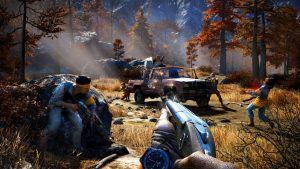 Far Cry veterans will be familiar with most of the game’s aspects, though it still has the potential for an exciting and intriguing open world experience. You can buy the game in India via online retailers and other major stores. For those of you who have tried, do let us know your Far Cry 4 experience.